This just in: we won Best Antique Shop in SLO County! New Times just printed their annual Best Of Reader's Poll, and we get to hold our title for another year. 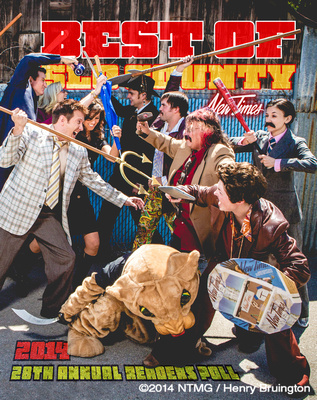 Click through below to see all of San Luis Obispo's best- pay special attention around page 45 for our little shout out! Thanks to everyone who voted for us, and to all our fans for your continual love of vintage and support of local biz's like ourselves. Three cheers for SLO County!